After much anticipation, one of the greatest fellowship events of the year took place on a beautiful Sunday afternoon inside North Charleston’s Wannamaker Park. 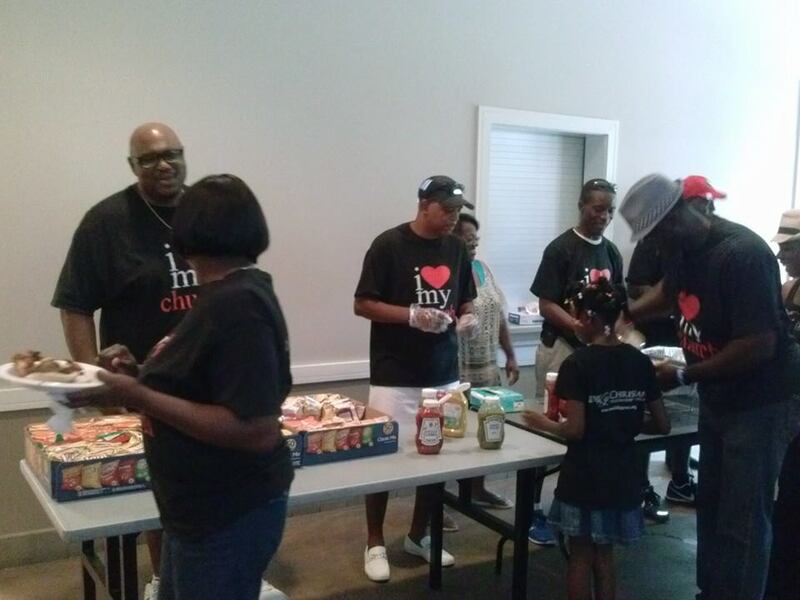 New Life Christian Fellowship Church held its Family Affair event and what an exciting, fun filled day it was. Scores of members attended the affair donned in their “I Love My Church” attire and thoroughly enjoyed a day filled with great food, live entertainment, and games. Wherever there is food, The Unknown Cook likes to be in the mix. 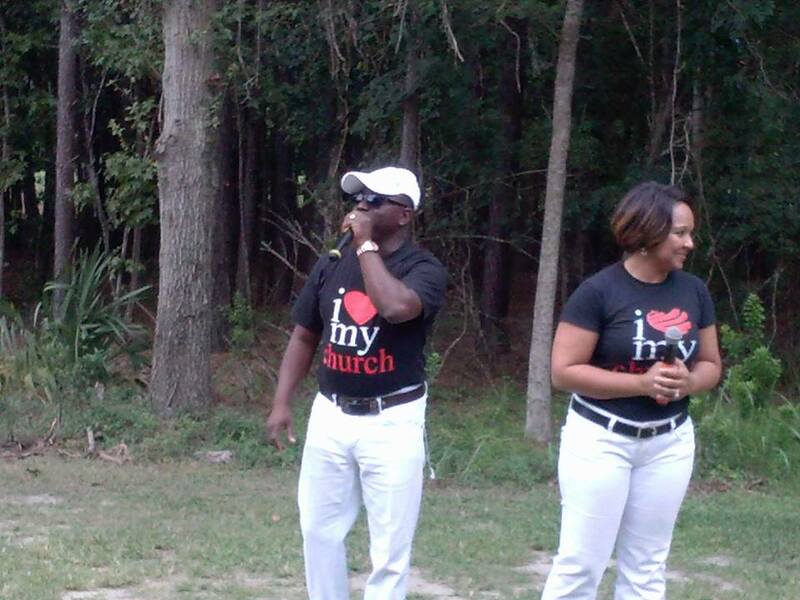 When it comes to being genuinely concerned about the spiritual development and livelihood of the members of New Life Christian Fellowship Church, there is no team that displays this in all earnestness more than Dr. Dexter Easley and Lady Leisa Easley. The leadership of this team is exemplified not only through their teachings on Sunday mornings. Their purpose is exemplified in a lifestyle that is apparent in their everyday walk. From business ownership development principles to highly detailed marriage success initiatives and everything in between, Dr. Easley and Mrs. Easley cover all bases for the well-being of the congregation under their charge. During his address to the members in attendance, Dr. Easley conveyed that a member approached he and Mrs. Easley and stated that the event felt like a true family reunion in every way. It’s always great to have a family reunion with relatives related by blood. It is even better to have an event such as this one where members are related by the blood of Christ! New Life Christian Fellowship Church has more outstanding events schedule for the remainder of the year. Believe us when we say you don’t want to miss anything this dynamic Church has scheduled. What’s more is that you don’t have to be a member to benefit from what’s going on. Be sure to visit New Life’s website for a complete schedule of what is to come for all to partake in. You won’t be disappointed. This awesome crew serving delicious food at The Family Affair. Photo courtesy of Pastor James Gourdine. 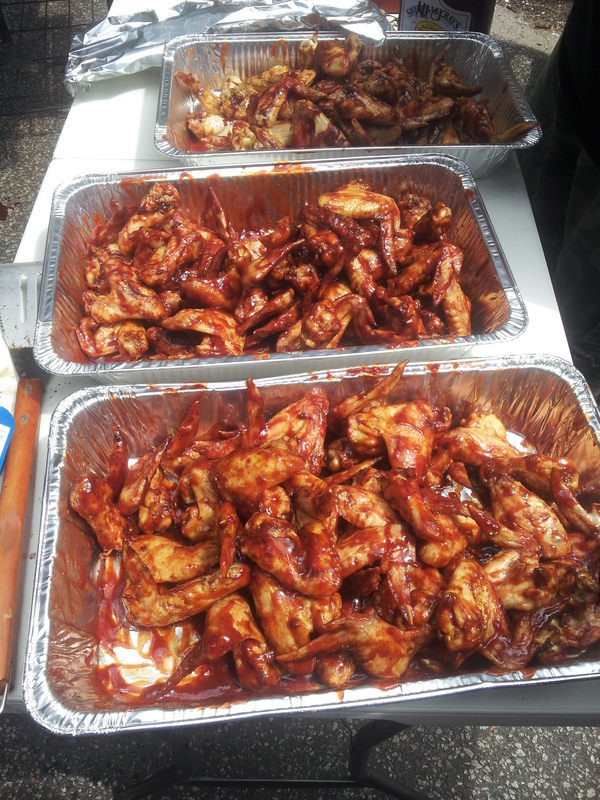 As we mentioned earlier, there was great food at New Life’s Family Affair. Behind the scenes, there were these outstanding “unknown cooks” making it all come together. These cooks churned out some of the best tasting hot dogs I have ever tasted. To be honest, two weren’t enough for me. I had to have just one more to be completely satisfied. Along with great hot dogs, this team of cooks provided juicy burgers and barbecued chicken with a savory sauce that was finger licking good. And of course, no outside cooking event is complete without the presence of baked beans. These were excellent! This was truly an outstanding gathering of a congregation that sincerely treated each other as family. Plans are already underway for the next event and we are sure it will be just as exhilarating as this one. If you missed this affair, be sure you don’t miss the next one. Below are more pictures of the fun that took place at an event that still has everybody talking. The Unknown Cook is signing out. We’ll see you for our next post so stay tuned! This is what mass production looks like. This is one large cooking surface! Photo courtesy of The Unknown Cook. 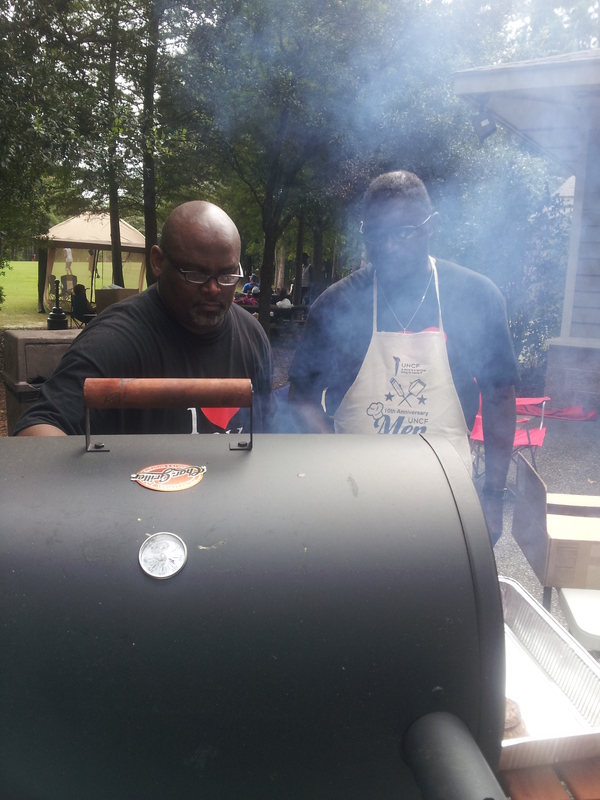 These gentlemen know their way around a grill perfectly! The empty plates proved this fact! Photo courtesy of The Unknown Cook! 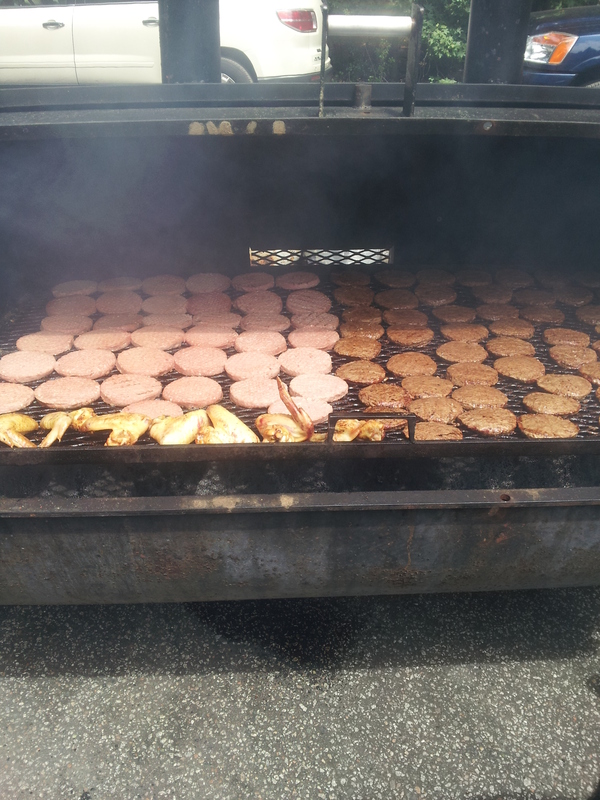 Grill Master, Pastor Tim Dasher, checking to see if burgers are ready for the serving line. 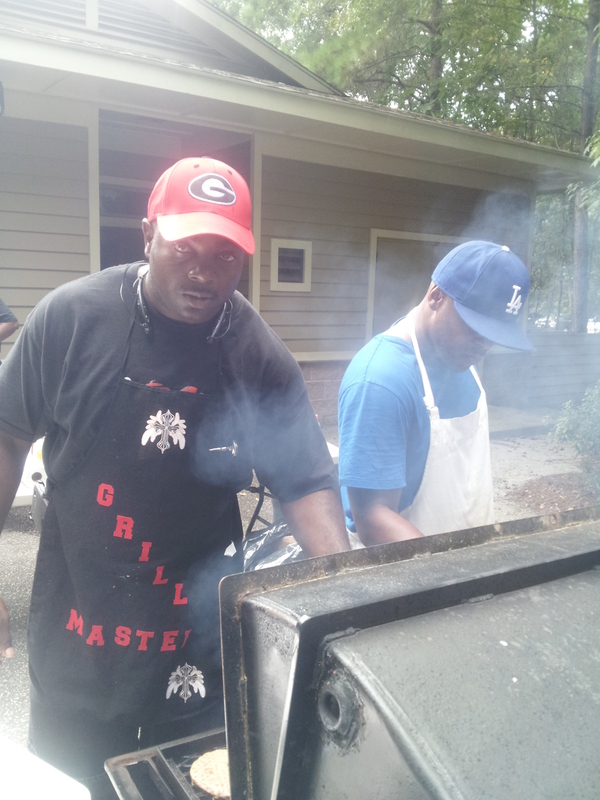 Yes, the “G” on his hat stands for “Grill Master”! 🙂 Photo courtesy of The Unknown Cook. 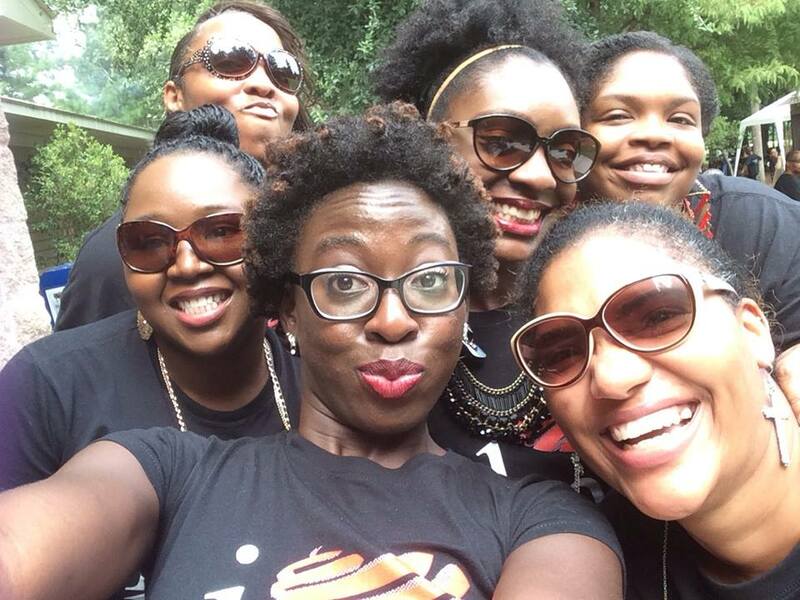 This group selfie is indication of too much fun at New Life’s Family Affair. Photo courtesy of Narcisa Hinds. 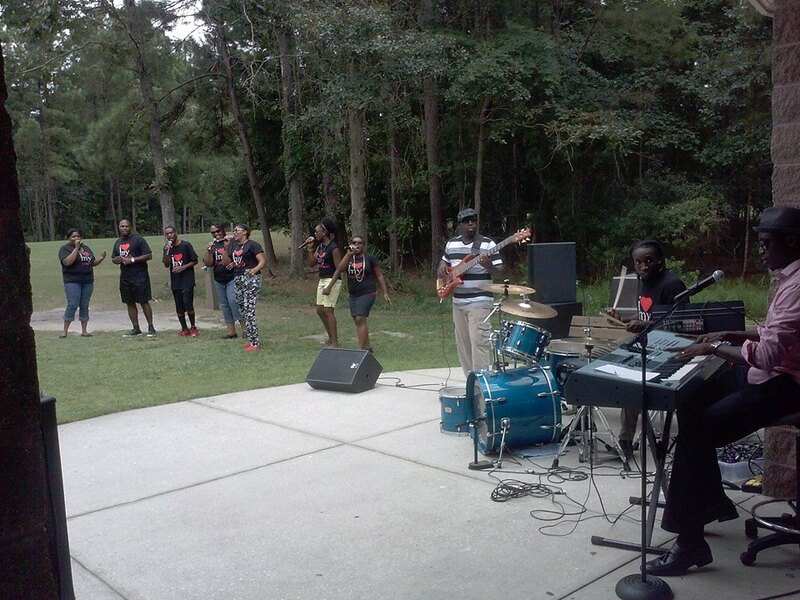 New Life Praise Team and Band geared up to rock out God Style! Photo courtesy of Pastor James Gourdine. Posted on August 25, 2014, in Uncategorized and tagged bbq chicken, business owners success summit, cook out, Dexter Easley, Dr. Dexter Easley, Family affair, family reunion, grilling, hamburgers, hot dogs, Lady Leisa Easley, Leisa Easley, live music, marriage bootcamp, New Life, New Life Christian Fellowship, New Life Goose Creek, Pastor Dexter Easley, relax and renew, Wannamaker Park. Bookmark the permalink. 1 Comment. What a beautifully blessed day – and the food looked awesome, glad I ate lunch already!